While we’re prepping for E3 this week and reminiscing about the great moments from expos past, let me regale you of a tale of the weirdest thing that ever happened to me there. I told this story to people immediately after it happened at the 2005 E3, and then it ended up getting passed around like a game of telephone, and by the time it got back to me it became something like “I hear you whipped out your jailbroken PSP during a Miyamoto interview.” Close, but not quite. The full story is stranger. This story is from the recent 2016 edition of my book Power-Up: How Japanese Video Games Gave the World an Extra Life, in a bonus chapter largely about the life and work of Satoru Iwata. Nintendo didn’t have anything to show for Revolution that year. At next year’s E3, Iwata revealed the console itself, which was approximately the size of three DVD cases stacked on top of each other. It was clear that Nintendo was not going to try to compete in terms of raw horsepower with Sony’s upcoming PlayStation 3, which used an incredibly powerful new processor called Cell, or Microsoft’s Xbox 360. What Iwata didn’t show was the controller; the piece of the puzzle that would illustrate how Nintendo was planning on bringing about this so-called revolution. Days after Nintendo’s press conference, reporting on the show for WIRED, I sat down in an E3 conference room with Shigeru Miyamoto for the first time since our interviews for the original Power-Up. Actually, to be honest, I had spoken with Miyamoto the day before, although it wasn’t planned. I had an interview with Nintendo executive Perrin Kaplan, and I thought I’d show her something crazy: In the days before E3, hackers had blown the DRM security on Sony’s PSP wide open, and had advanced with astonishing rapidity from getting a rudimentary “Hello, world!” up on the screen to actually running an emulator that played Nintendo’s Game Boy games. Since the emulator was brand new at the time, I figured I’d be the first person to show Kaplan. What I did not expect is that she would immediately whisk me out of the interview room we were in, telling me that Miyamoto would want to see this! She escorted me over to the room where Miyamoto had just finished up another interview, and brought me inside, and had me show him what I’d brought. 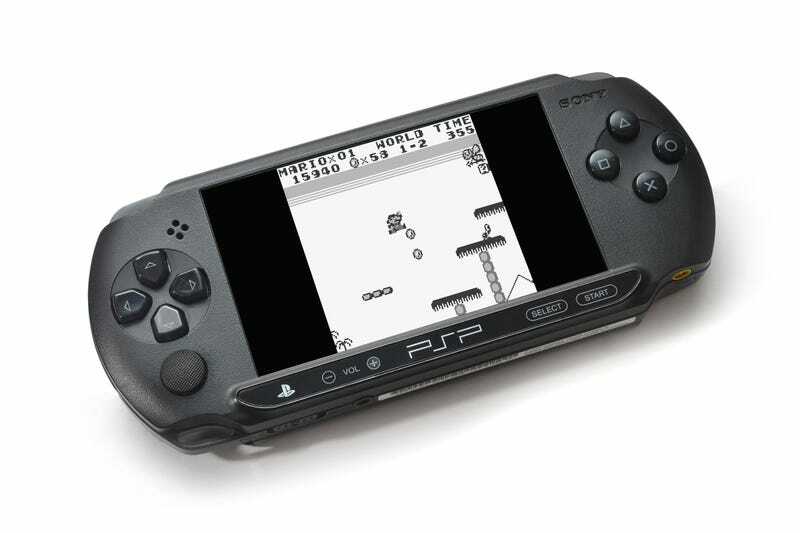 And Miyamoto took my Sony PSP and played some bootleg Super Mario Land on it. No, no, I said. I just got it off the Internet. Kaplan hurried me away again, this time into a secret chamber even deeper in Nintendo’s labyrinth of E3 meeting rooms. As she had me again demonstrate my PSP with its illicit software to one of Nintendo’s hardware designers, my eyes darted around the darkened room, where Revolution consoles in an array of candy colors, ruby red and mint green, were displayed, illuminated by beams of light. So that’s my funniest E3 story. I should probably say that this excerpt is not especially representative of the content of the chapter itself, which is more focused on the evolution of Nintendo’s business against the backdrop of the changing face of Japanese video games over the last decade. I just couldn’t resist adding it in. But really, can you blame me?